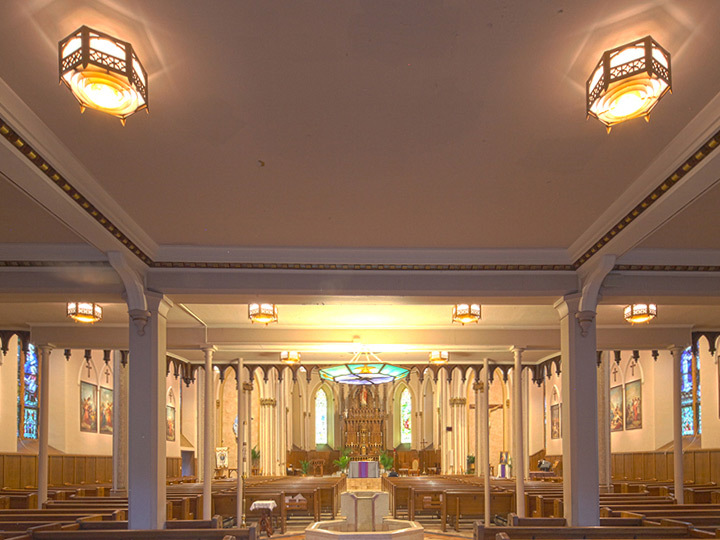 St Peter’s Church, located in Plattsburgh, New York, was chartered in 1853 under Reverend Jean-Pierre Bernard to create a Catholic church for French-speaking residents. 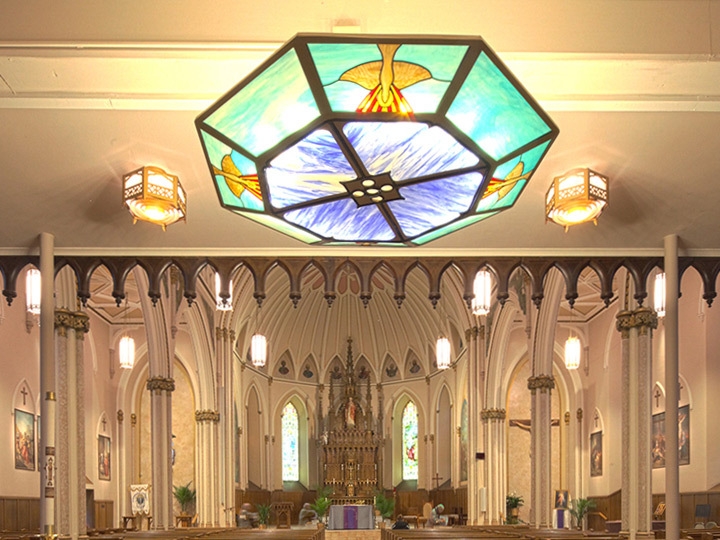 Today, Saint Peter’s is the largest Roman Catholic Church congregation in the Ogdensburg Catholic Diocese. 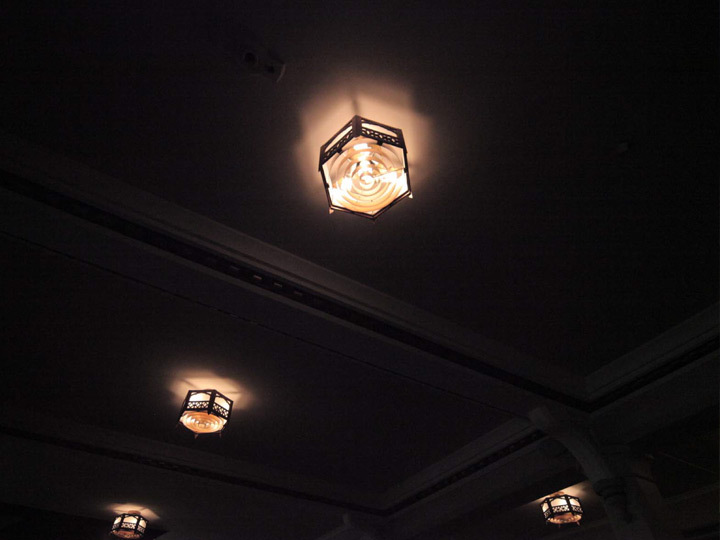 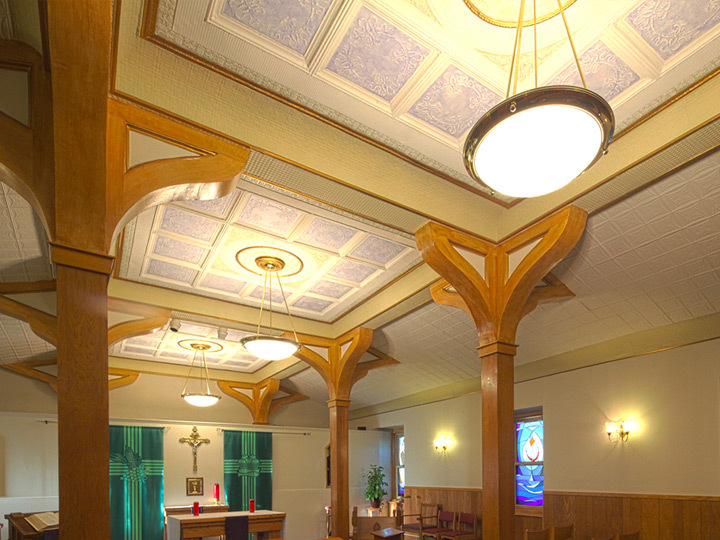 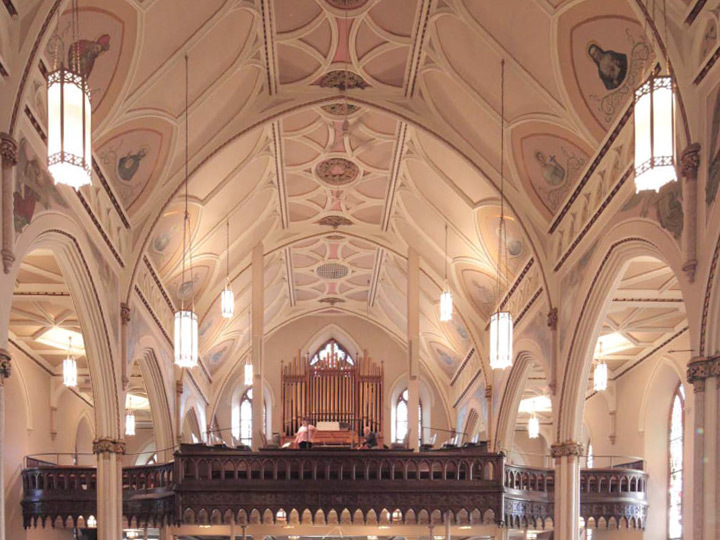 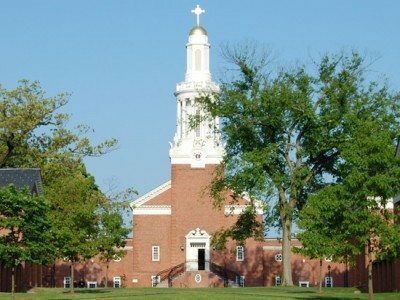 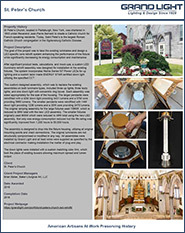 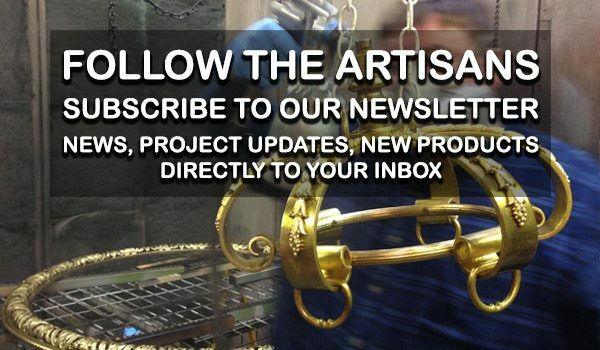 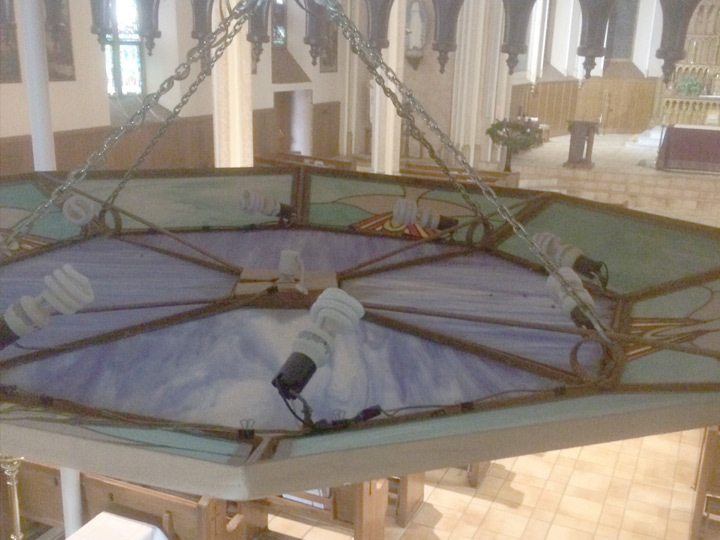 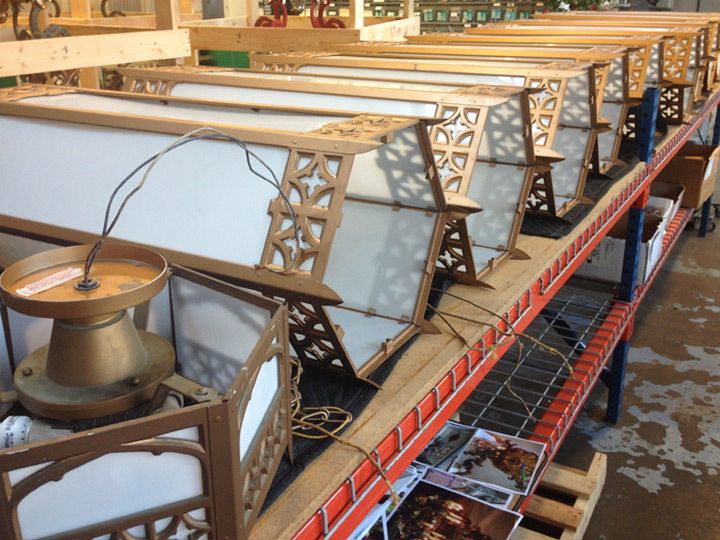 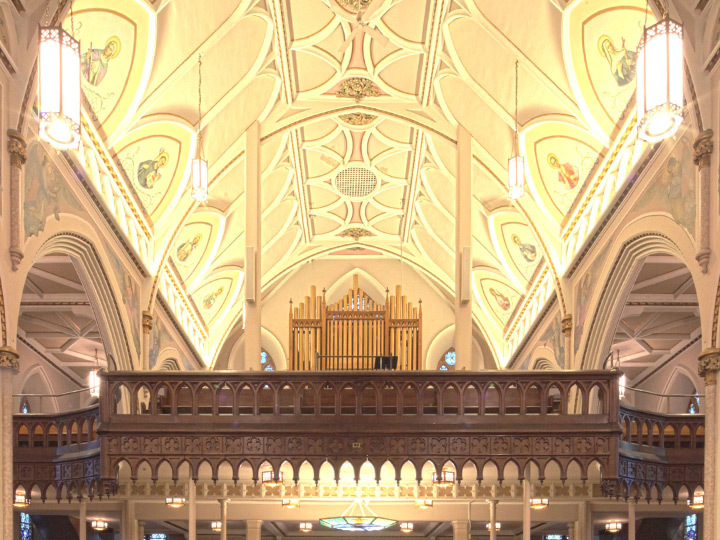 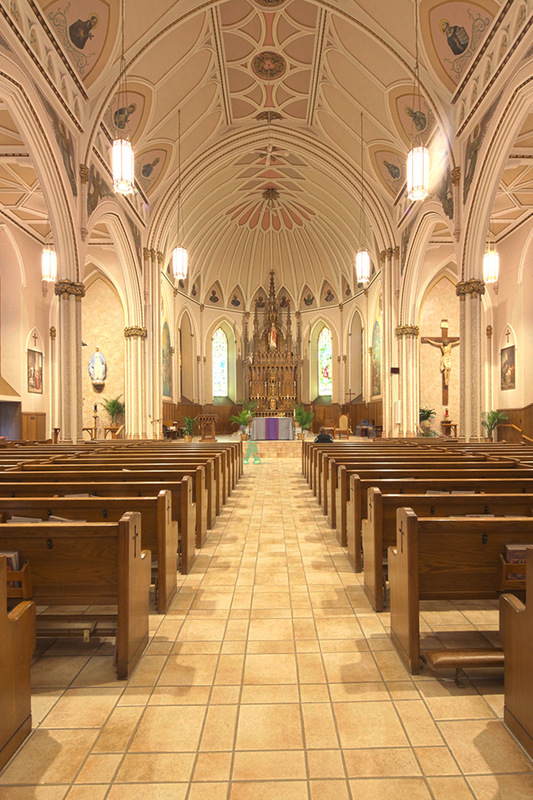 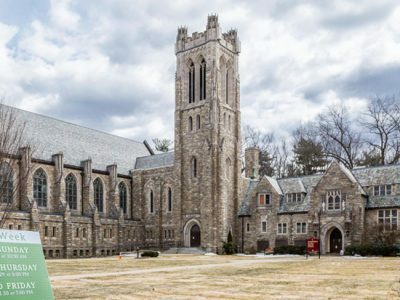 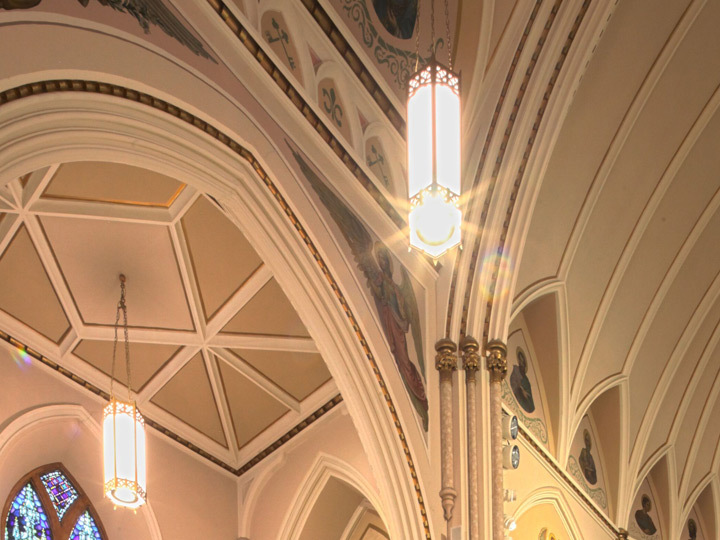 Grand Light teamed with Baker Liturgical Art LLC, located in Plantsville, Connecticut, and Ripman Lighting Consultants, INC, located in Belmont, Massachusetts, for an energy efficient lighting project. 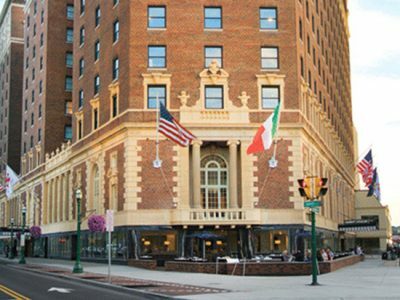 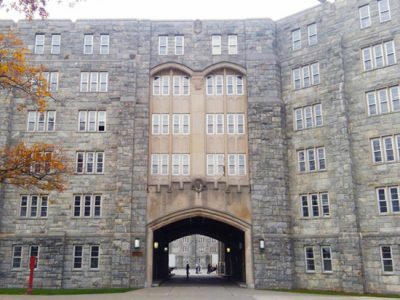 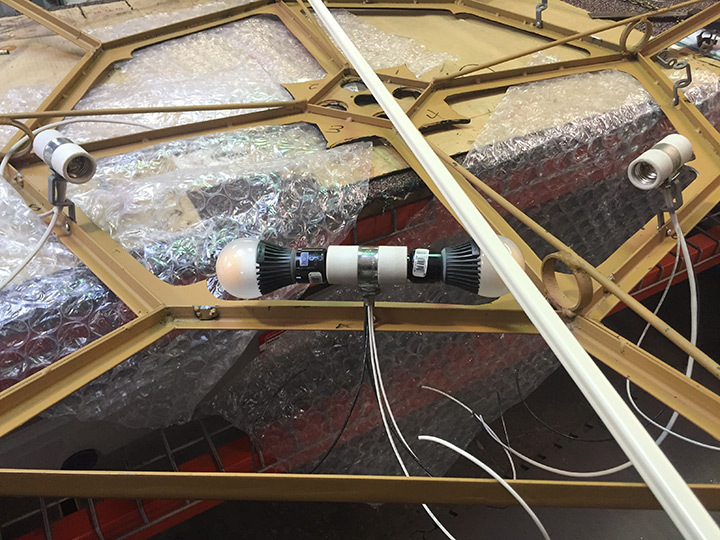 The goal of this project was to take the existing luminaires and design a LED specific core retrofit system enhancing the performance of the fixture while significantly decreasing its energy consumption and maintenance. 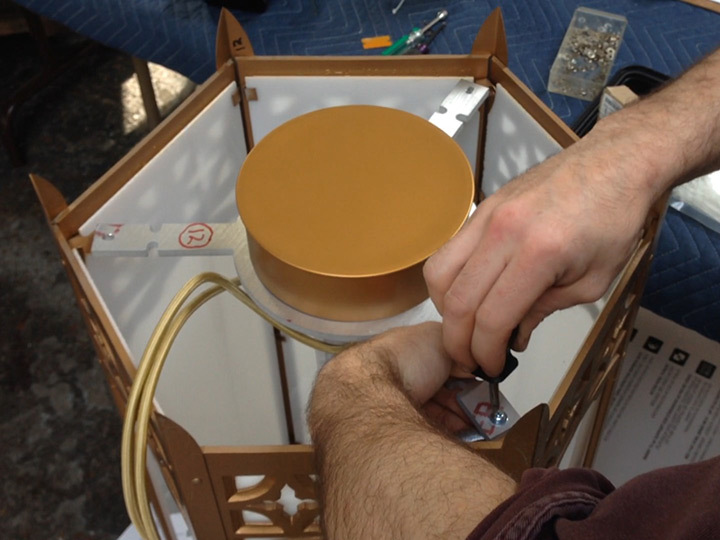 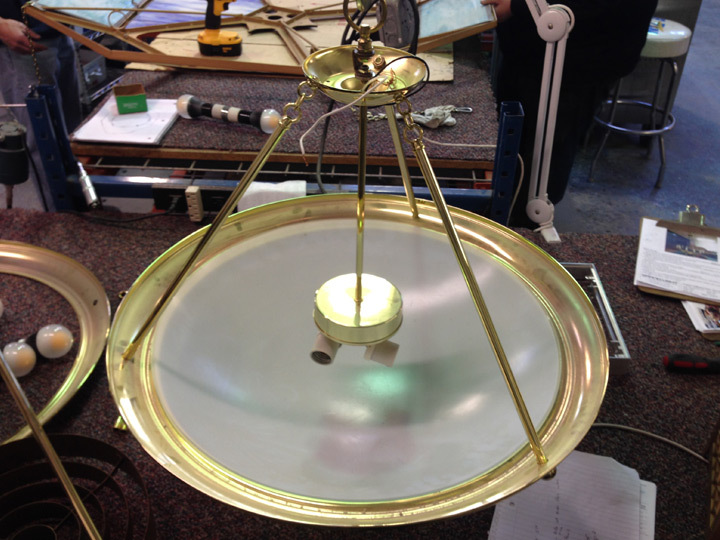 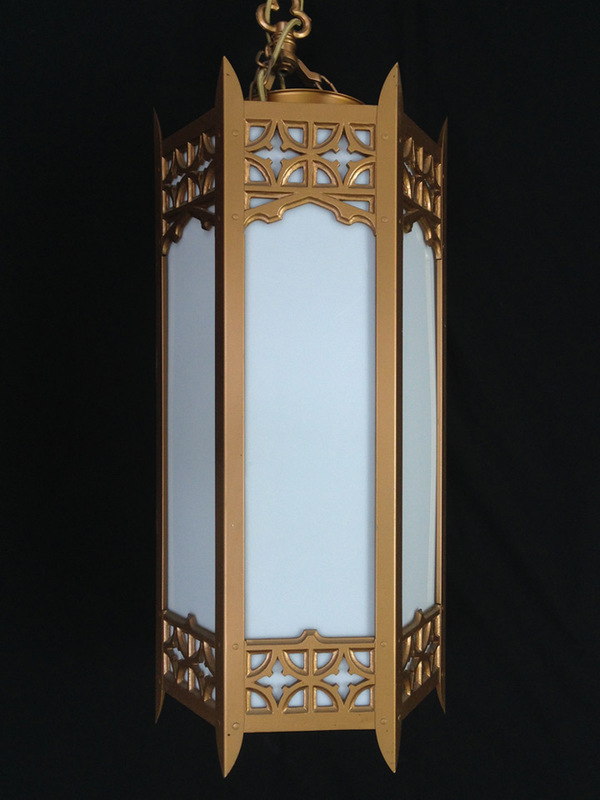 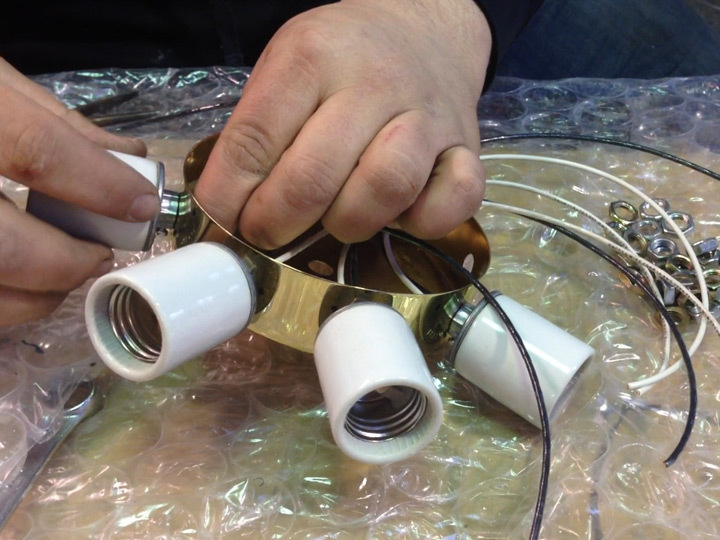 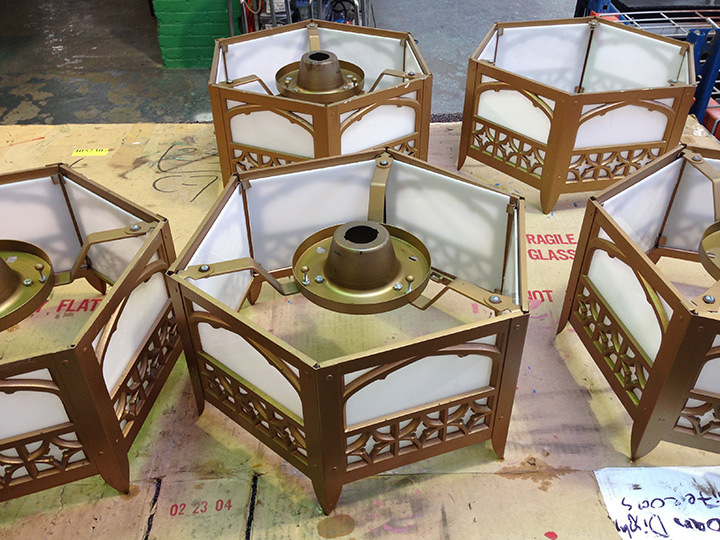 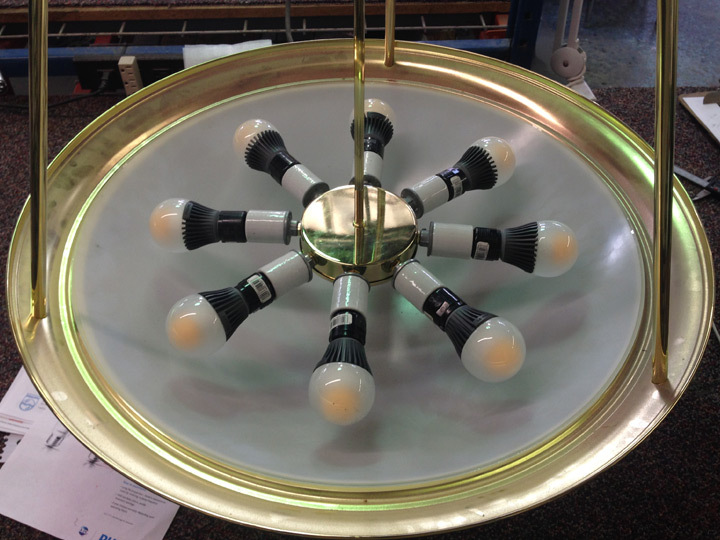 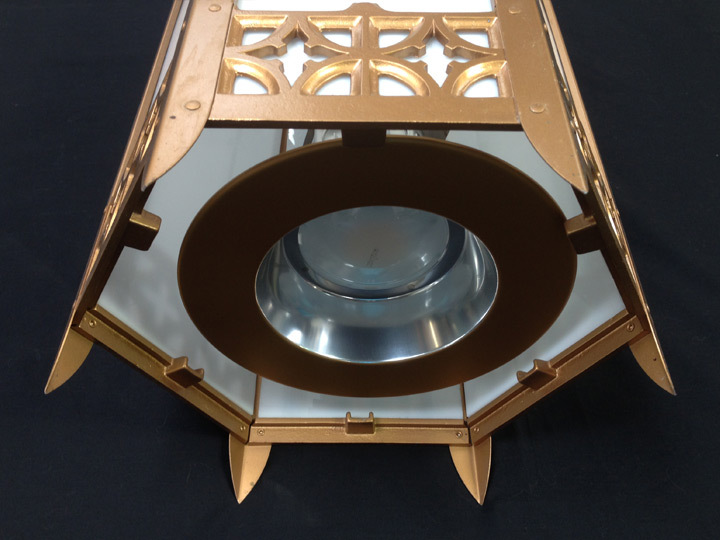 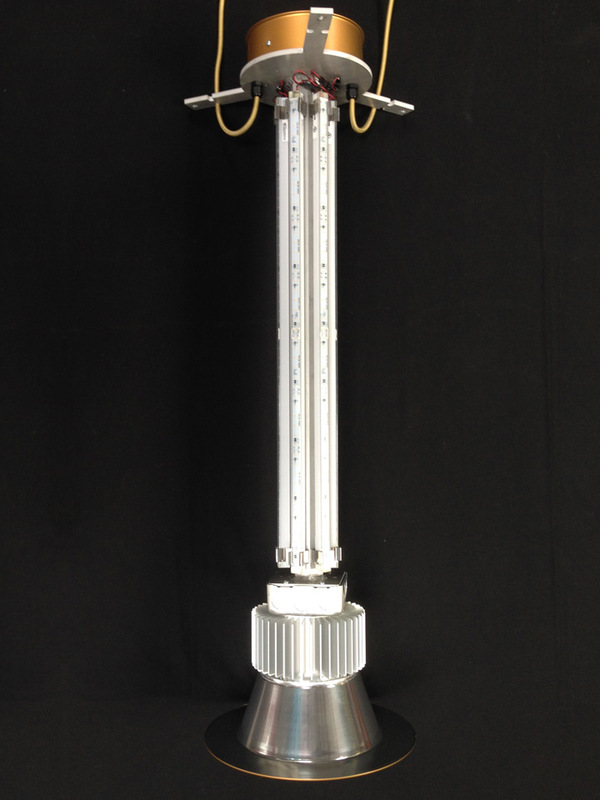 After significant product tests, calculations, and mock-ups; a custom LED illuminaire retrofit assembly was designed for installation in the existing fixtures. 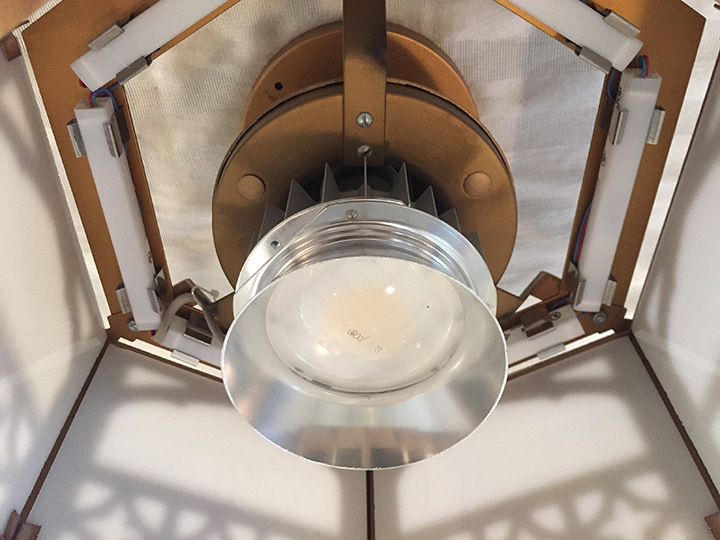 The system incorporates Nichia Series157 Power LEDs for up lighting and a custom tailor made ENERGY STAR certified down light utilizing the specified CCT. 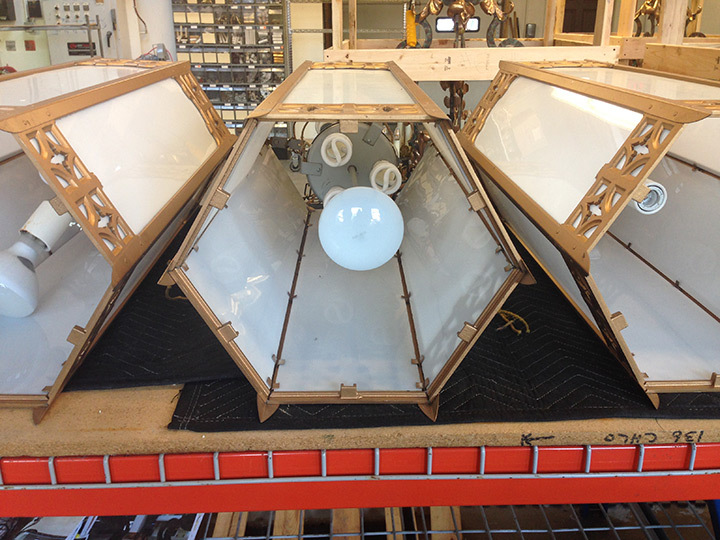 The down lights were installed with a custom matching color trim, which took the place of existing louvers allowing maximum spread and lumen output.